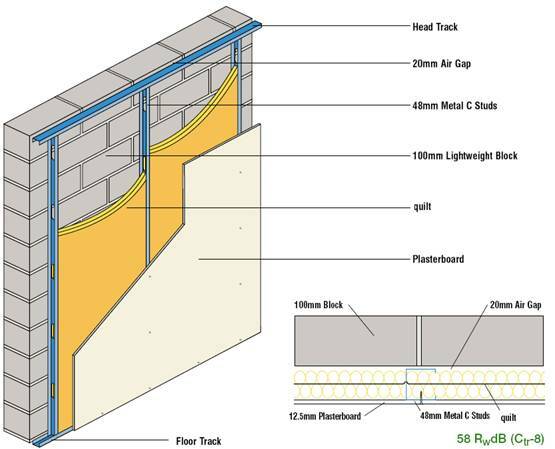 SoundBlocker Quilt is a superior cavity infill when constructing a soundproofed wall and can be used comply with Part E of the Building Regulations for the control of noise through masonry constructed separating walls. Ideal for stud and masonry wall acoustic upgrades, change of use or new build constructions when a higher degree of sound insulation is required. 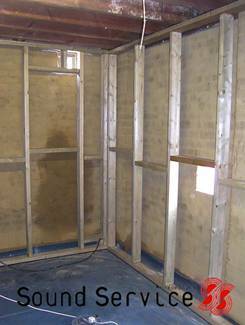 Can be used to improve the soundproofing of stud walls separating bedrooms or existing party walls of masonry construction by adding a stud liner infilled with SoundBlocker Quilt SBQ2 and clad with 30mm of acoustic plasterboard decoupled with resilient bars for best results. Can also be used to address flanking noise on walls that have failed a Part E pre-completion sound test. Helps meet the thermal requirements of external walls when used as part of a stud lining system, due to high performance thermal properties. 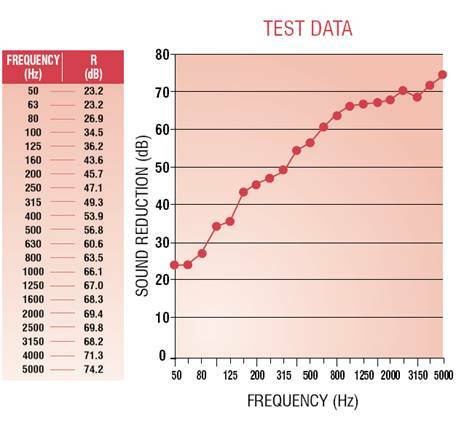 Although the images on this page show steel studs being used, timber studs are equally acceptable although not quite as acoustically efficient as steel stud as the test results show. To achieve the best acoustic results when using a stud system the SoundBlocker Quilt SBQ2 should be used with resilient bars isolating the acoustic plasterboard the studwork. 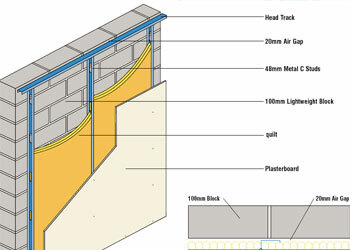 The cladding should always be the higher density acoustic plasterboard installed as a double thickness. 48mm Metal C Studs installed with 600mm centres. Timber stud can also be used but not as efficient as metal stud. SoundBlocker Quilt is produced using 25mm recycled sheep’s wool on either side of a 2Kg sound blocking membrane. It is far better than acoustic mineral wool and up to 4 times more efficient than a normal mineral wool infill. The performance of SoundBlocker Quilt exceeds the requirements as detailed in the Document E Resistance to the Passage of Sound for those looking for a superior performance when upgrading the soundproofing of an existing party wall. SoundBlocker Quilt can upgrade a 12.5mm clad stud partition by up to 16dB! The sound absorbing element of this product is 60% produced using recycled sheep’s wool combined with other recycled and recyclable materials. So SoundBlocker Quilt has got to be one of the most environmentally friendly acoustic insulation materials used for infilling the cavities of stud walls. This product does not use for the production or finished product CFC’s, HCFC’s or any gases that could otherwise damge the environment.